Got an Android phone? Want to get a mobile SMS-reading app? That's a good decision. How to read SMS? 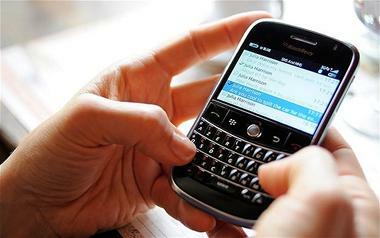 Mobile SMS-reader software is a very popular and frequently asked question on the Internet. Some want to protect their company from dishonest employees with mobile SMS-reader and just monitor them. When family, business stability or safety are at stake, mobile SMS-reader is a very good way of finding out the truth. Read other people's SMS messages with mobile SMS-reader software, because mobile SMS-reader is the most modern and the safest service to monitor a cell phone remotely. Install mobile SMS-reader app on the target phone, sign up, and it will invisibly run in the background and regularly transfer all SMS messages to your account. With mobile SMS-reader you can view this data on your personal computer, anywhere the world. Mobile SMS-reader software is the easiest and the most convenient way of getting SMS messages discreetly. It's a bad idea to take the cell phone from the table of a cheating employee. Mobile SMS-reader will solve all your problems connected to such a situation. Also, mobile SMS-reader program guarantees regular data delivery. Mobile SMS-reader program immediately retrieves the data to your account. Therefore, mobile SMS-reader application keeps all the data in your account even if all SMS messages have been deleted from the phone. Our service does not offer you to read people's text messages or to use mobile SMS-reader software for illegal purposes, but offers you to think of your own and your family safety. SpyToMobile application is one of the most popular and the most effective mobile SMS-reader software. If you are really looking for an Android mobile SMS-reader app, don't hesitate! Install SpyToMobile on the Android phone you'd like to monitor. If have any problems with our Android mobile SMS-reader app, contact us, and our tech support will quickly and professionally answer all your questions. Looking for info on 504-939-7725. Not even sure it is possible. From Feb2015-July 4th. Texts mainly and locations. Name on account is Brandon Baye. Hello s2m, Gps location is not updating since 13-2-17. Why is it happening? Please see to it asap. Hi i can't not see most at the out goin messages i wonder why ?? I dont get most at the messages any information why?? I want to read my partner sms. Thank you. Can this app retrieve sms from the past 3 or more months & if so...does this app always include messages that have been deleted from the target phone(s? How can I retrieve Facebook messages from the target phone(s)? I can see all incoming text but no outgoing. How do I view them? I cant get call logs I installed the updated file you sent Help!!!! i need all the data off of it? App ran fine the past few months but now I can't see text messages or calls and the GPS isn't always reliable. I would happily keep purchasing the app but not if it's going to be so unreliable. The target phone is online too. What could b causing this??? Please help!! Big thanks to you for this app. You helped me a lot. I can see all texts, thanks. Is it possible to see MMS?